2 hour guided snorkel tour. Come explore the beautiful underwater world of Honolulu and see tons of tropical life and fish, and even sea turtles! Go snorkeling in Hawaii! This private tour requires no previous snorkel experience. All the gear and equipment will be provided and your group's personal dive professional will teach you everything you need to know to have an awesome snorkel experience. 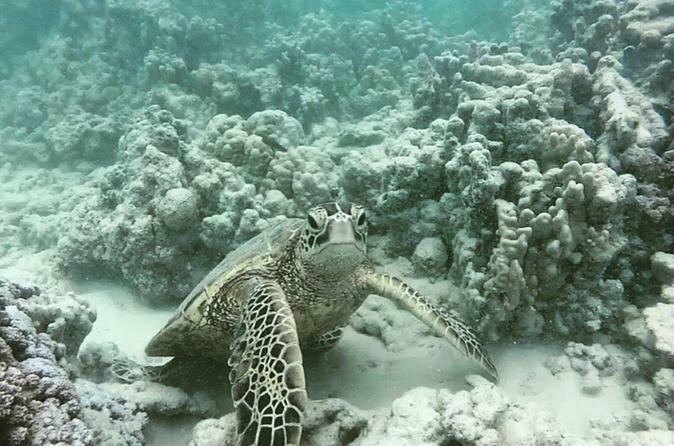 On this tour you are guaranteed to see a ton of beautiful aquatic life and tropical fish and sometimes even sea turtles! A complimentary GoPro video of your experience is included! Come and explore the wonders beneath the tropical waters of this planet right here in Honolulu. It is guaranteed that this will be the highlight of your vacation and you will want to come back again and again!